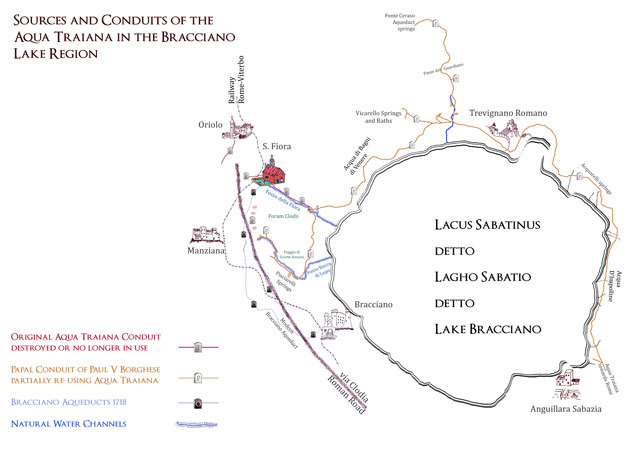 Between 2008 and 2010 we have been researching the various sources and springs which fed the Aqua Traiana. They are counted clockwise around Lake Bracciano in the direction which the aqueduct flows around the lake. The aqueduct has the shape of a questionmark, and the water flows in the direction that you would normally draw that questionmark. Click above for larger map. The sources mysteriously described as being in the territory of the Altieri Dukes of Oriolo, including the Fonte del Grugnale. Cassio, followed by Ashby both say that there were seven springs here, which were collected together in three tanks called Greca, Spineta and Pisciarello. If Lanciani is correct, then this major vein can be called the Piscarello branch, or the Aqua del Fosso di Bocca di Lupo. The Piscarello branch connects the furthest water sources from the city of Rome. The sources of the Fiora Stream which he describes as ‘lost’. North along the Fosso di Spina towards Fonte Cerasolo and Bassano. 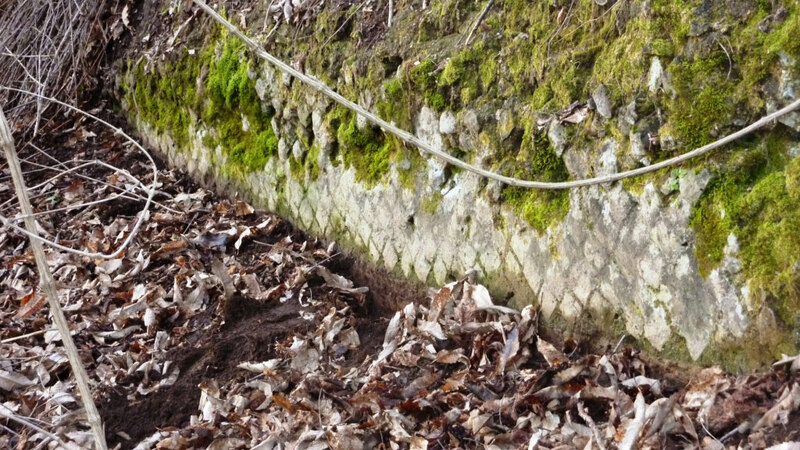 The waters of the Vigna di Venere (Venus Vine), somewhere to the north of the Fosso di Fiora at the west of the lake. The water sources associated with the baths of Vicarello (Acqua Appolinaris to the North West of the Lake. The Acquareli to the North East of the Lake. 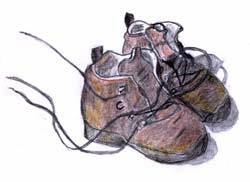 Paolo Giordano Orsini was undoubtedly a bounder and a cad. It is probable that he killed his own wife Isabella di Medici and we know for certain that he had the Pope's nephew killed in order to marry his wife; but we undoubtely have Paolo Giordano to thank for the fact that we are now able to explore the Santa Fiora Nymphaeum in a relatively dry state. Were it not for him, the Fiora water would have flowed to Rome for the last four hundred years and would still be flowing. The result was an aqueduct with a significantly lower yield than in Trajan’s day. Sixty years after the construction, we know that Pope Alexander VII Chigi sent an engineer Luigi Bernini to measure the Fiora water, and conduct a feasibility study on the possibility of attaching it to the Papal Aqueduct. The Aqua Traiana Specus emerges from the ground downstream of the Santa Fiora Nymphaeum and water source.